The Sprenger Sensogan KK Ultra 14mm Snaffle takes advantage of the exceptional sensitivity of the tongue with an anatomically formed mouthpiece that lies perfectly in the horses mouth for comfort. The unique angle of the shortened middle link known as a 'bean' is angled forward by 45 degrees so it lies gently on the tongue resulting in even and constant contact without squeezing to allow clear instructions through the rein. The mouthpiece is made from Sensogan® a material developed by Sprenger to give a more delicate and sophisticated connection to the horse by reducing the copper content and adding manganese to regulate the oxidation process more smoothly. This material has proven in tests conducted in collaboration with the Veterinary University of Medicine Hannover and the German Riding School Warendorf to be highly compatible and exceptionally well tolerated. 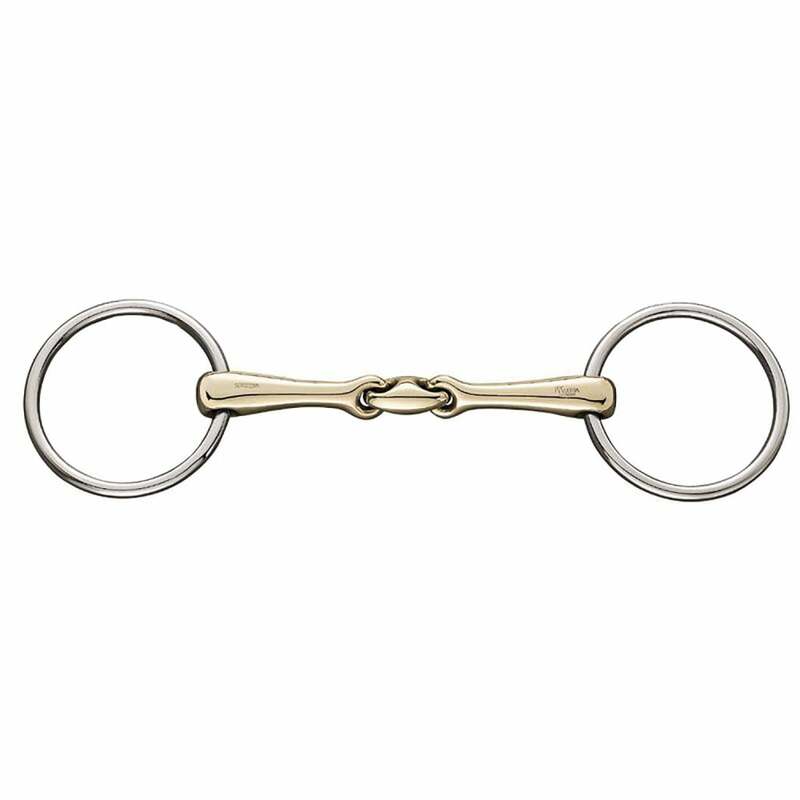 The Sprenger Sensogan KK Ultra Snaffle is gentle to mouth and tongue while encouraging a high level of responsiveness and clearly defined aids.